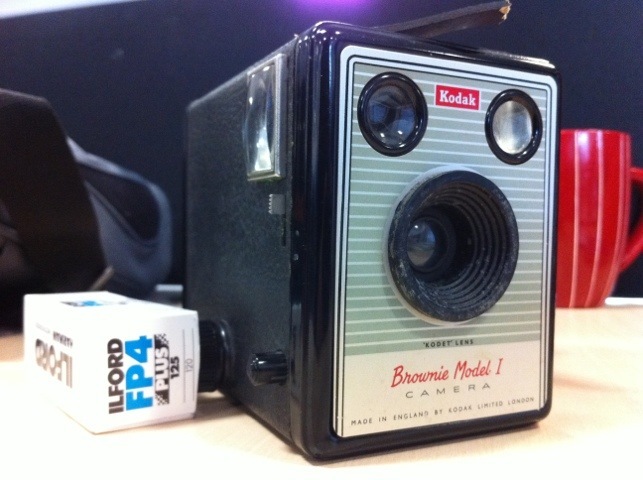 Today’s fun, assuming it gets sunnier in Headingley by lunchtime… a Kodak Brownie Model I! Acquired from the Wakefield Hospice warehouse for a fiver, it takes 620 film although I’ve managed to frig it for 120… and it’s f/14 so I’ll need the sun! More info about this particular model on Camerapedia.